Cologne - Ask any coach what the best preparation for a midweek UEFA Champions League game would be and it's highly unlikely you'll come across many references to games like Bayer 04 Leverkusen's 2-2 draw at FC Augsburg. Taking an early lead, adding to it soon after and then sitting back and preserving the energy reserves without picking up any injuries would potentially be regarded as the ideal scenario. Having to chase the ball for 95 minutes and to lose the lead twice - including with practically the last kick of the game - is, on the other hand, verging on a worst-case scenario. Leverkusen welcome last year's beaten Champions League finalists Club Atletico de Madrid to the BayArena on Wednesday night, having gone through just that. "It was an incredible game," said coach Roger Schmidt, whose side are now three Bundesliga games without a win. "It was extremely intense and, in the end, also extremely disappointing for us." The former FC Salzburg boss paid tribute to Augsburg for "never giving up", but it was not the test he wanted for his side. Coupled with the disappointment of losing late on against VfL Wolfsburg a week ago, however, Leverkusen are in need of a diversion which perhaps the Champions League could provide. "It's the best thing going," added Schmidt. "We're looking forward to it. It's going to help us." While most of the post-match talk revolved around Augsburg goalkeeper Marwin Hitz's equaliser, Leverkusen's lively attacking play, inspired largely by the impressive Karim Bellarabi, very much fell under the radar in the Bavarian city. 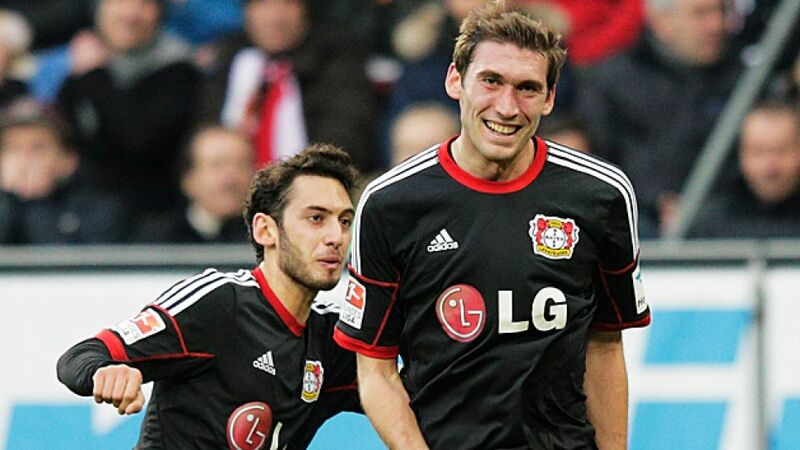 "I think we’ll have to analyse the game closely," said Bayer's goalscorer Stefan Reinartz. Schmidt will do that before Wednesday, drawing on the handful of positives as inspiration for the Werkself's next big test. Augsburg may not have been the ideal preparation for the visit of Altetico, yet Leverkusen showed they are alive and very much kicking.